Well, it's been at least a week since our last robot report, detailing which jobs are now going to be outsourced to non-humans. Clearly manufacturing was headed this way since mechanization proved how woefully weak humans are at churning out cheap goods without the need for rest of any kind, but what about the service industry? Robot bartenders may not be able to talk about your problems, robot hoteliers may not be able to score you the best drugs on the DL...will robot fast-food workers really improve things so humans can "have it our way"? Guess which ones Wendy's owners are going with? According to Fox News, the proof will be in the paychecks. Namely, the lack of them. 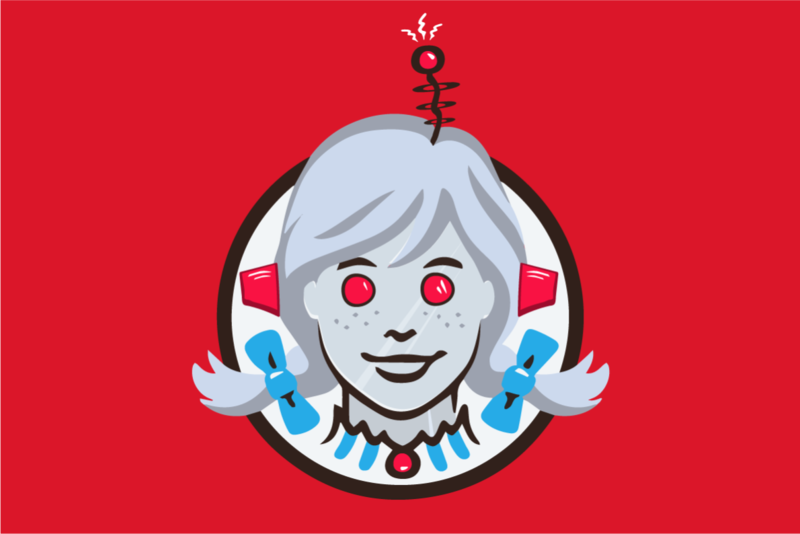 Faced with the prospect of rising minimum wages, the Wendy's corporation has decided to eliminate a number of their service positions in favor of capable computers. Due partially to the union-led "Fight For 15" campaign to obtain $15-per-hour wages for the fast food employees, some of the Wendy's brass have made their decision to replace the human touch with touchscreens. The decision could be notable for major markets, like Chicago, where it has begun to be implemented. Strike all you like, humans...the robots strike back harder. Tanya Triche of the Illinois Retail Merchants Association explained it simply, stating, “That's how economics works. Employers will find ways to become more efficient. And so we disagree with the advocates who say that these policies will help people over time. We're seeing just the opposite." While some 15,000 jobs could be lost if Wendy's were to compel each of their franchises to install touchscreen terminals, the decision is still up to individual franchisees. It may not be a cool decision for the working person, but it'll still get you that Frosty. just not quality of life for their workers. This news is sad because employees where replaced by touch screen ordering machines. I just hope that people from custom writing services review can provide a lot of jobless people job opportunities. The RObots are taking over...Every thing is getting computerized. The Terminator and The Matrix are showing us the future? ?Food for thought huh.. Such vivid info on the Would You Like Microchips With That? Wendy's Unveils Touch-Screen Ordering At Many Locations! Flabbergasted! Thank you for making the read a smooth sail! Can anyone help me figure out the logic in this pseudo C code? This is part of a calculation for a message check value. I am racking my brain but still can't understand it. I have also attached a jpg of a sample packet as an example of a working packet stream.